Limit the amount of gear you take into the transition area to the basics. Yes, you need your bike, bike shoes, helmet, run shoes, sunglasses, nutrition and a towel, but you don’t need to turn up with your whole triathlon wardrobe. Key to this is checking the weather forecast beforehand. If sunshine’s guaranteed, you really don’t need that heavy-duty jacket! With nominal transition space you must efficiently lay out what equipment you bring. That’s where your towel comes in, acting as a marker to designate your area. You can rack your bike from the handlebars, aerobars or saddle. 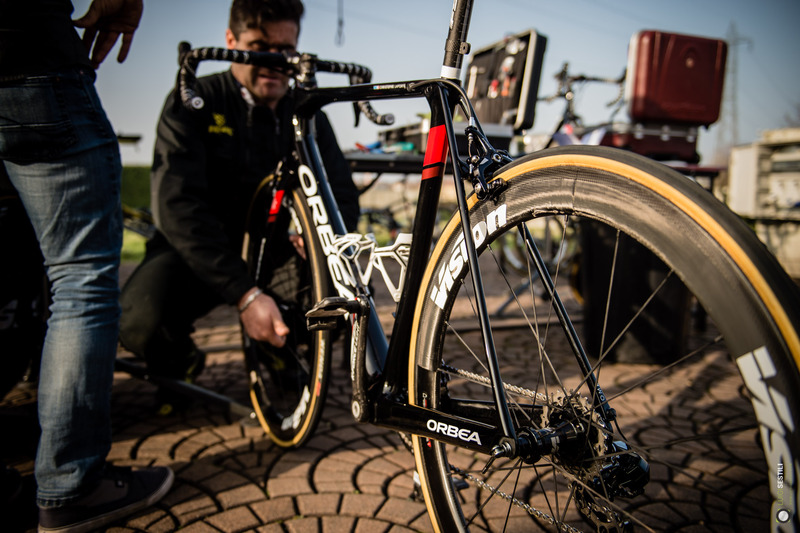 If you have quality aerobars, like Vision’s top-end TriMax carbon we’d recommend racking your bike by the saddle. You can then rest your helmet upside down on your aerobars (with your sunglasses inside), ready for swift attachment post swim. 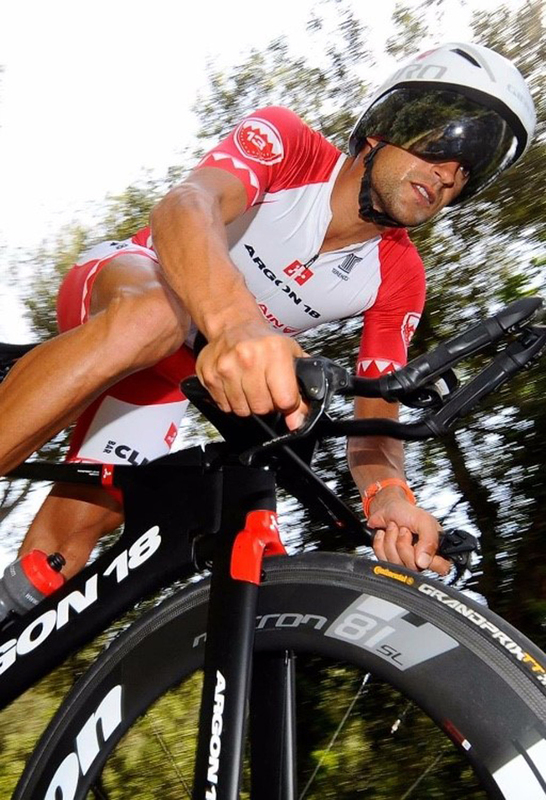 If you don’t have aerobars, you could place your helmet on the saddle or beside your bike, next to your run shoes. You have two options for your bike shoes. Place them beside your bike or, if looking to save time, connect them to your pedals and tie two thin elastic bands though the heel loops. Spin the pedals until the driveside shoe is at 3 o’clock and the other is at 9 o’clock, before stretching the driveside shoe band around the front mech and the non-driveside shoe’s band around the rear brake or quick-release lever. So long as the bands are thin, they’ll snap as soon as you start pedalling. Picture the scene. You rack your gear in a near-empty transition. You head off to perform your warm-up, await your wave start and then go! It’s swim time. On exiting the water, you’re confronted with hundreds of bikes. You've no idea where yours is and lose precious time! That’s why before you race, it's vital to walk/run through from the water's edge to your racking so you can visualise your path when it’s race time. Remember the golden rules of T1. Firstly, you must put your helmet on before touching your bike. Slip your glasses on while you’re at it. Next you must push your bike, usually running, to what’s known as the mount line before you can leap onto your saddle and ride off. Mount too early and you could incur a time penalty. As you approach T2, you must dismount by the dismount line. You'll then run holding your bike by its bars or saddle, either in your bike shoes or barefoot, after leaving your shoes clipped into the pedals. (The quickest method.) At your transition spacing, rack your bike and remove your helmet. You then just have to slip into your run shoes. This is where talcum powder and triathlon laces come in handy. Sprinkling talc into your shoes reduces friction if running without socks, while triathlon laces tighten shoes much quicker than traditional laces. All that’s left is to run, run, run your way to a new PB!